Saw this quote from Barrel of Oranges and fell in love with it, and now turning it into a graphic with the author’s permission. 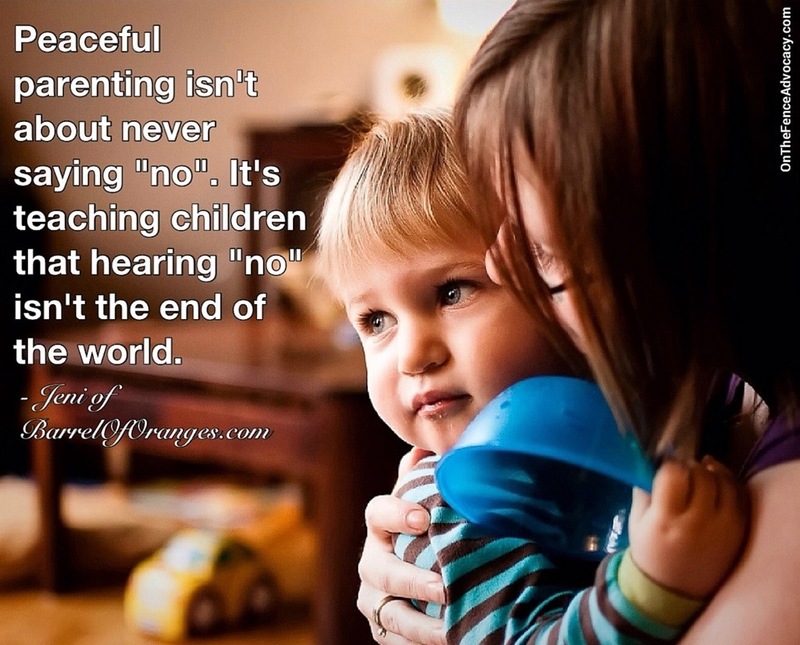 Peaceful parenting is not about letting our kids go crazy and not doing anything to teach them important lessons in life. It is about setting limits and explaining consequences with empathy, understanding and compassion. It is about believing that our children are smart enough to listen to our reasons, process this new information, draw conclusions, and make changes in their future behavior and actions. It might take a few times of doing this, but the lessons will be learned for sure. Consistency and patience is the key here. This way children will learn to make independent decisions based on previous explanations and examples modeled by their parents. Isn’t this way much better than any violent response, tears and inflicted mental and physical pain with no lessons learned, other than adults are stronger and can hurt those who are helpless and weak? And the best part is that it works too. Try it. This entry was posted in Quotes and tagged Parenting, Positive discipline. Bookmark the permalink.